With a new year comes a new calendar. 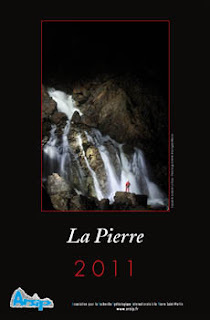 Or if your more interested in a nice agenda containing caving pictures from all over the world, I can recommend this little book from speleo.pl at € 15.00 containting 53 caving pictures and a list of the 25 deepest and longest caves in the world. Remember: by buying any of these you support the community/groups behind it and help them finance new expeditions etc.